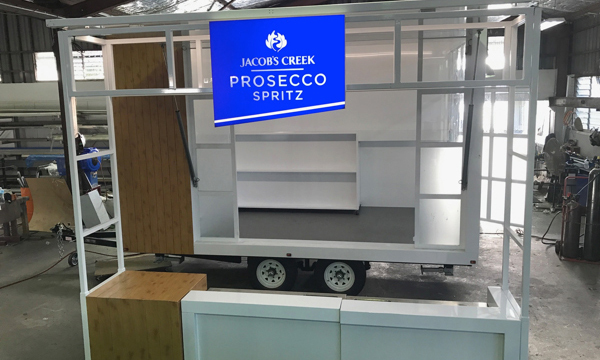 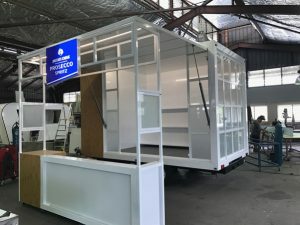 Check out this uber cool mobile bar, built recently for PIM Creative Marketing, used by their clients such as Jacob’s Creek for product launches, promotional events and festivals. 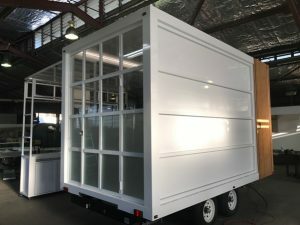 This 4.5m x 2.5 x 3.6m trailer has a front collapsible servery bar which sits under the front opening window and then is disassembled and carried within the trailer whilst travelling and for easy storage. 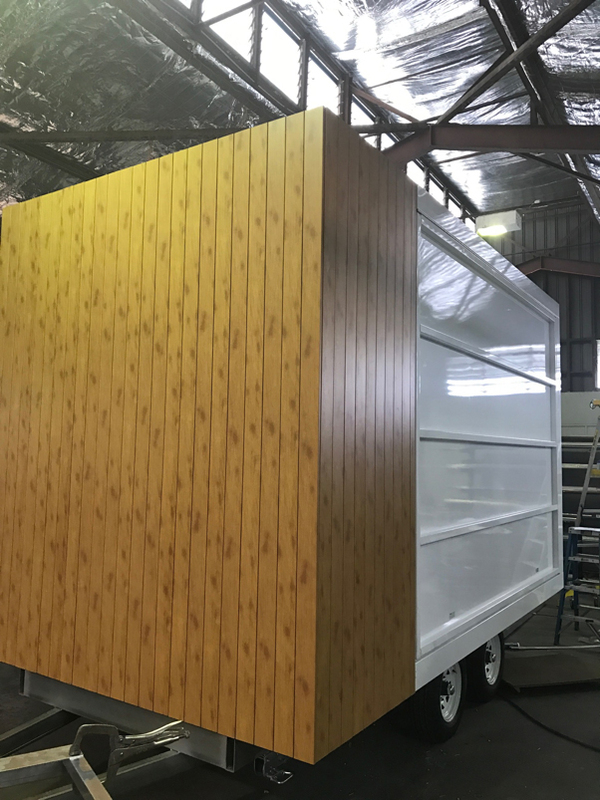 The trailer’s exterior features Knotwood aluminium – a product that looks like wood but has the lightweight weatherproof properties of aluminium, clear and frosted toughened glass, a powdercoated aluminium frame and an automated electric door. 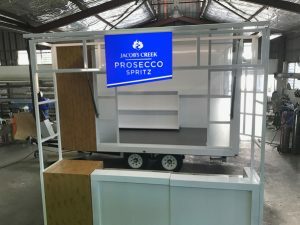 Its lightbox sign is easily mounted and demounted for event set up and interchanged with other signs, depending on the client using the trailer. 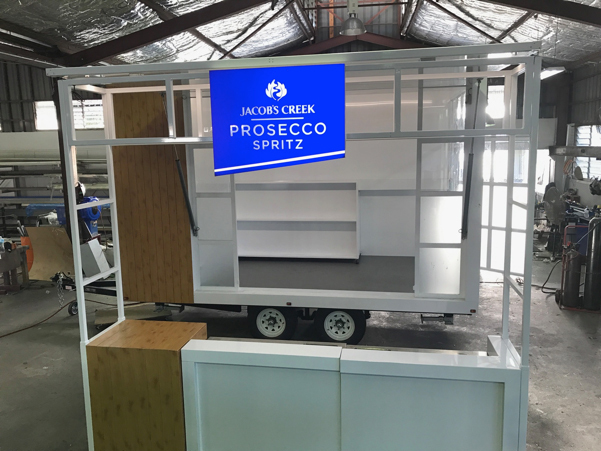 Contact the Van Demons crew today if you would like to get your mobile bar, food truck, coffee van or any other special project on the road.